We offer 6 week industrial training in Khanna and 6 months industrial training in Khanna . We are providing various courses in 6 week or 6 months like Web designing, Seo , Php, C, C++, Java and . NET. Micro Wave Computer institute is one of the best institute in Ludhiana District. We will train the student with 100% practical, building and designing a receptive Web site needs outstanding design skills. Industrial training is very essential. Industrial training is one of the most important aspects for an engineering Student. The most important fact about the industrial training is that it should be taken very seriously both by students as well as trainers. 6 week or 6 month industrial training holds the same importance as it sets the platform for the student and the student can select the technology in which he/she wants to enhance and train further. Both C and C++ are considered high-performance languages and are widely utilized in developing applications where performance is a critical issue such as client/server applications and commercial products such as Firefox and Adobe, as well as programming video games. Problem solving, basic computer knowledge. As C and C++ are geared toward low-level management of computer resources, knowledge of computer functions such as memory management are beneficial. C++ – Allows for a much greater ‘control’ than other languages. Java is one of the most common, high-demand computer programming languages in use today. Owned by the Oracle Corporation, its object-oriented structure has become a standard for applications that are capable of being used regardless of platform (e.g. Mac, Window, Mobile Devices). With millions of Java developers worldwide, there are hundreds of texts for learning Java programming, as well as a variety of forums available to Java developers for vetting ideas or solving programming problems. Java is widely recognized for its portability across platforms from mainframe data centers to smart phones. Alternatively, Java may be considered a quite complex language to become efficient with quickly. 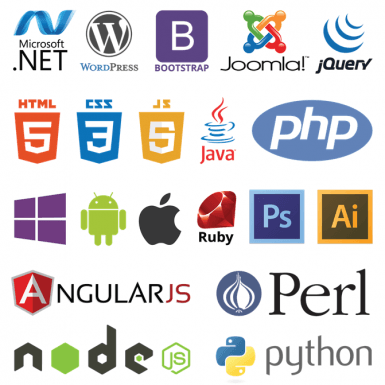 The trade-off is that Java skills are in high demand for experienced developers. You’ll be able to access/manipulate the most important computer parts like the filesystem, graphics, and sound for any fairly sophisticated and modern program—that can run on any operating system. 3. DOT NETDot Net is a popular programming language that is used by several programmers world over. DOT NET is an object-oriented language which is highly secured and portable. There is immense scope in Dot Net Programming as many employers are hunting for Dot Net Programmers. As the world is getting more and more digitized, demand for Microsoft Dot Net programmers is rising tremendously!Dot Net Course offered at Micro wave computer is one of the best ways to learn Dynamic Web Application Development. Learning C# programming has never been easy before. To learn C#, you can always depend on us where you will find yourself in a position to achieve the success in Dynamic Web Application Development. Join our Dot Net Program to become a master of C# with our training programme. We at Micro wave computer always believe in catering to the latest demands of IT industry. To match and exceed their expectations, we have .Net as an offering where we train you on the below technologies:DOT NET COURSE CONTENTSPROGRAMMING FUNDAMENTALSThis course is intended for people who have never seen a computer program. It will give you a better understanding of how computer applications work and teach you how to write your own applications. More importantly, you’ll start to learn computational thinking, which is a fundamental approach to solving real-world problems. Computer programming languages share common fundamental concepts, and this course will introduce you to those concepts.OBJECT-ORIENTED CONCEPTS‘OOP’ is a design philosophy. It stands for Object Oriented Programming. Object-Oriented Programming (OOP) uses a different set of programming languages than old procedural programming languages. Everything in OOP is grouped as self sustainable “objects”. Hence, you gain reusability by means of these object-oriented programming concepts.Dot Net Job RoleBecoming a Microsoft Certified .Net programmer is a dream of many software developers. Micro Wave Computer helps you to make this dream come true by offering a robust Programme in .Net. This Diploma Programme in .Net begins with the programming fundamentals and C++ training, EIM fundamentals, followed by the popular OOPS concepts. The programme also includes programming with ADO.NET, ASP.Net and Introduction to Service Oriented Architecture. Every module, every session takes you one step nearer to your dream career in programming.This is a custom tailored programme that opens the doors to programming world and the top giants of information technology. While you learn development, this also gives you an overview on business applications, industry standards and testing fundamentals which make you the best choice of recruiters. This programme talk about both the aspects of programming let it be server side or client side.If software engineering is your call, wait no more! Acquire the right skills with our exclusive .Net Programme at Micro Wave Computer and multiply your job opportunities!4.PHPWe at Micro Wave Compute providing PHP training in Khanna.Today PHP a server scripting language is heavily in demand as obvious reason is that it is open source which means free and competent alternative to challengers such as Microsoft’s ASP and that’s why it is widely in use . PHP is a powerful tool for making dynamic and interactive web pages speedily. Now it is installed on more than 244 million websites and 2.1 million web servers, from here we can get an idea about the demand of the language. Micro Wave Computer is the best PHP training institute in Khanna delivers high end training in Core and Advance PHP education, 6 Months PHP classes in Chandigarh. Trainers are experienced people from the industry they work on live projects on our own development company as well.After the training students will be completely skilled in PHP and thus will get easily Place in the companies. For Assistance and Experience on Live project join Micro Wave Computer and we enhance students skill level to a certain amount which help them seeking suitable job. We also prepare them for Interview and work on polishing their overall personality.